Of all their endearing qualities, it’s their independence that causes us to fall in love with felines. As a group, cats don’t need their owners in the same way…other popular four-legged friends might (yeah, we’re looking at you, dogs!). But what happens when an otherwise unfettered feline suddenly starts to follow you around, begging for attention? A needy cat may not necessarily set off every alarm, but any swift changes in behavior can definitely signal that something’s amiss. Perhaps we notice abrupt shifts in feline behavior simply because they’re sort of aloof. That is, when a cat who normally hides or lurks about suddenly shows up on your keyboard or under your feet, we pay close attention. An effective way of communicating with owners is to simply show up – a lot. Cats who don’t feel well may hide, but it’s equally common for them to attach themselves to your side. When Fluffy gets in your face unexpectedly, it may be worth a call to our office or a visit. Some cats are alone for the majority of the day and tend to wake up when their owners arrive home after work. This change may be quite obvious by jumping or running around you, meowing incessantly, or by displaying other needy cat behaviors to get your attention. Conditioned behavior goes both ways. The constant meowing of a needy cat can result in treats or attention (or both). Of course, you want to shower your cat with love and affection, but if you go too far when he or she demands it, you may inadvertently reinforce clingy behavior. Teach your cat the way to behave, and try not to overlook bad behavior. When your cat meows repeatedly, give a signal, such as a light foot stomp. Only pet your cat or give a treat when he or she stops meowing. Likewise, you can redirect a needy cat by playing with him or her. Distracting him or her from irritating behavior can reduce it altogether. Another reason cats can be clingy has to do with their environment. A feline that has just arrived in a new home or an unfamiliar place may behave in an utterly needy way. After a little time and encouragement, a new cat will feel right at home. Please let us know if your cat is having trouble adjusting; we’re always happy to help. 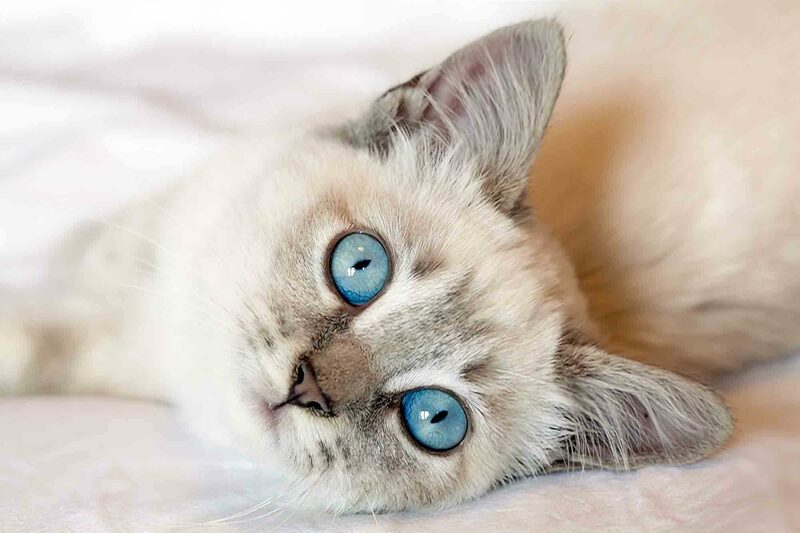 A needy cat may need medical assistance, and we can direct you to solutions for a stress-free home. Some cats are also just talkers, and their repetitive meows have nothing to do with pain, illness, injury, or other problems. However, if you feel your needy cat could benefit from medical attention, we invite you to schedule an appointment.